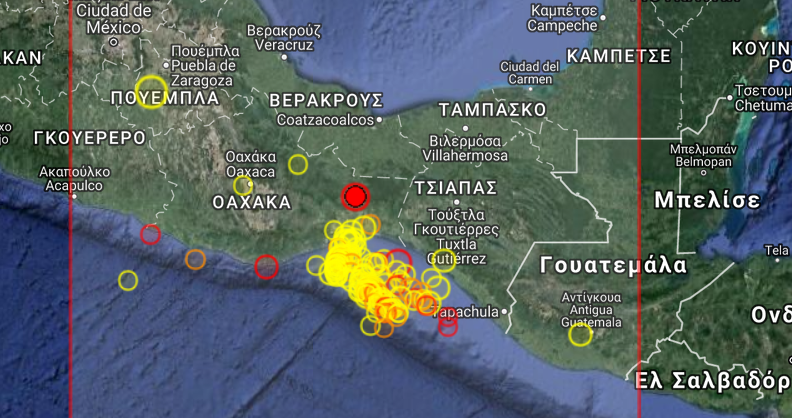 Earthquake Prediction: 6.3R in Oaxaca in Mexico <---As Predicted. 6.3R in Oaxaca in Mexico <---As Predicted. A 6.3R in OAXACA has just been reported. It seals our prediction that the September Equinox is not a quiet period. Do you remember our post? We have predicted that within a day we will see a 6-7R on Equinox. Here it is. Also yesterday we predicted a Mexico earthquake (sent 2 days ago to our subscribers) which came now at (15.2N, 96.2W). So you can see we are off by a degree which is fine by us at this stage. Another successful prediction.